Update March 21, 2012: This blog post was featured on France 24 as part of their political coverage on March 20, 2012. Twitter co-founder Jack Dorsey paid a visit to French president Nicolas Sarkozy and in the process, invented the tweet-meeting. 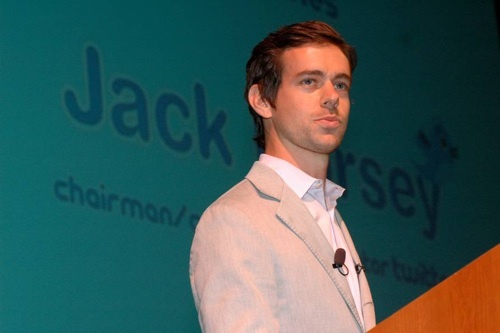 Sarkozy tweeted on March, 13, 2012 that the would meet Twitter co-founder Jack Dorsey the next day. Before meeting Sarkozy the next day, Dorsey also met with Socialist presidential candidate François Hollande and centrist François Bayrou. There was, of course, a Twitter exchange between Hollande to Dorsey. Bayrou also posted a tweet in advance of his meeting with Dorsey. No one seems to know exactly all the details of the reunion, but we know this much: Dorsey helped Sarkozy with his strategy on Twitter by meeting with members of his social media team. Jack Dorsey (third on the right, with black suit), Twitter co-founder, meets with Sarkozy’s Web campaign team at the Élysée. “I was busy this afternoon with @jack taking about numerous subjects: #NTIC, #referendum, #competitiveness #edemocracy -NS,” said Sarkozy’s tweet. Twitter co-founder Jack Dorsey posted this picture of his meeting with Sarkozy on Instagram. Receiving Dorsey at the Élysée was definitely a good move for Sarkozy. The presidential candidate could benefit from Dorsey’s social media expertise, as well as his knowledge of new technologies. His advice could not only help improve the reach of his current presidential campaign, but also, his technological policies and developments in France if he is re-elected as president. A press release by the presidency today said that Sarkozy also “encouraged Twitter to open its offices in France, just like other international companies of the Internet sector who have chosen to establish their European activities in our country.” (Google and Microsoft are two of the companies that have based their European operations in France). Dorsey’s Parisian tour may also have something to do with his political aspirations, as he’s confessed his dream is to one day become mayor of New York City. Could becoming president of the United States also be a part of his dream? No one knows, but it sure helps to start building a relationship with some of the world’s major political figures.